Republican Senator Ted Cruz called for Attorney General Eric Holder to appoint a special prosecutor to investigate the IRS's targeting of conservative groups on the Senate floor Thursday afternoon and said if Holder fails to do so, he should be impeached. Tea Party Patriots co-founder Jenny Beth Martin echoed Cruz's statements, adding that the appointment of a special prosecutor is long overdue. "It is impossible for the Obama administration to conduct a credible investigation into the growing volume of wrongdoing at the IRS, and congressional investigators are being stonewalled by the Obama administration at every turn. The only way of learning the truth is with a special prosecutor. If Eric Holder refuses to appoint one, it would be tantamount to obstruction and he should be impeached by the House of Representatives. The time for a special prosecutor is long overdue," Martin said. "Not since the Nixon administration have we seen the government go to such lengths to intimidate people. The American people deserve to know the depths to which their government can sink in waging intimidation campaigns against ordinary citizens who disagree with the Obama administration, and the only way we can get to the truth is with a special prosecutor. We commend Senator Cruz for giving this issue the attention it deserves and applaud his courage in standing up for the people, not just in his home state of Texas, but all Americans." 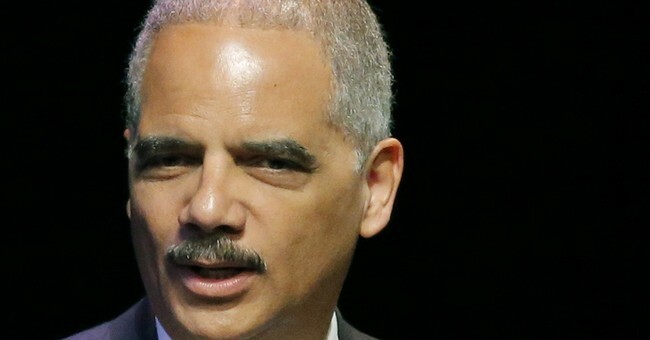 As a reminder, Attorney General Eric Holder was voted in criminal and civil contempt of Congress back in June 2012. Editor's note: Video of Cruz's remarks will be added shortly.